Most business people and entrepreneurs rely on referral partners for a decent percent of their new business. At various times in my career, depending on how you are counting (number of clients or dollars generated), that percentage has been as high as half, but usually clocks in at between 15% and 20%. The relationships you develop with potential referral partners may be more important than knowing your new prospective clients. For example, after coaching sessions with us, Angie Lozano of Angie’s House learned that in order to fill her affordable transitional-housing properties, she needed to spend more time speaking to her referral partners (parole officers and discharge planners) than speaking at 12-step groups. We also have a business broker client that learned a better way to promote himself within networking groups in order to create better relationships with his referral partners. When developing referral partner relationships, a lot of entrepreneurs are concerned that they do not have much business to refer back. Even if the referral partners do not expect a quid pro quo, everyone would like to see more business come their way. Let’s talk about some of the things you can do, besides referring work, to stay top of mind — and on the radar — of your referral partners. Make your referral partner look good by doing a good job. I know you ALWAYS do a great job, I am just reinforcing that notion that we must all, always, stay on top of our game. If your new client is able to tell the person who referred them that you are AMAZING, you will get more referrals, faster. Appreciation Wins Out Over Self Promotion. Remember when you got cash for the holidays from a relative and Mom told you that you had to send a Thank You note before you could spend it? Same thing applies. Send a handwritten thank-you note even before you are sure you will be hired. We use our SendOutCards account and it’s done in a breeze (try it free, on me if you wish – CardsByHank.com ). One of our clients recently told me that they have met other business coaches, but they want someone who appreciates them. You may want to add recognition during the holidays as well by creating a list of referral partners who not only get your holiday card, but gifts as well. Keep the referral partners in the loop on the work you are doing. If the client relationship allows it, find out if and how referral partners would like to be kept informed about their clients’ matters, especially if something may affect the work they are doing. We have had a web developer refer us to help his client create a marketing plan and write the copy on the website. I shared information as we went, and reinforced the positive decision that our mutual client made in hiring that developer. 4. Build that relationship. Take referral partners to lunch and ask about their companies. What kind of business are they seeking? Who is their ideal customer or client? My favorite question is to ask is “How I will recognize it when your name should pop up in my mind?” Let them know that, when appropriate, you will do your best to identify opportunities. 5. Make introductions. Even if you don’t have business to give, you have contacts to share. We were just able to refer a brand new company that attended one of our Monthly Marketing Mornings at the Cottonwood Chamber of Commerce seminars to an accountant in their new state. The connection was made by e-mail, but the first thing they have in common is us! 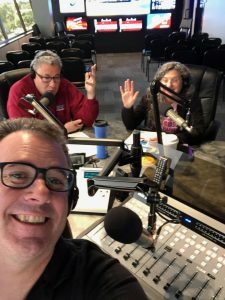 We know a realtor named Karen Piet that holds a monthly informal breakfast mixer at a locally owned coffee shop in Flagstaff (Cedar House has incredible coffee) for people she has met that she thinks need to know each other. And as long as we are talking about building relationships, the first time we went to Karen’s mixer, because we were new to the group, I looked for someone in the crowd that I could give a testimonial for instead of just promoting us. There was a printer there (The Print Raven) who had some great work for us, so I was able to reinforce that relationship by thanking Tracie in public. Include them. 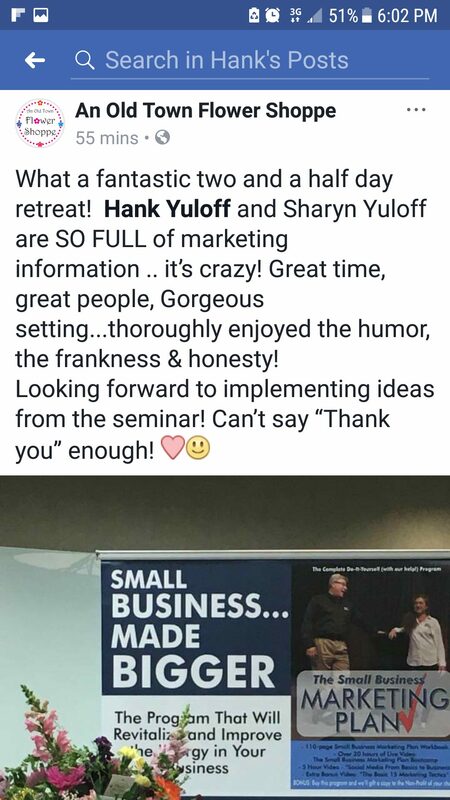 We have invited our referral partners to our Small Business Breakthrough Bootcamps so we can easily connect them with others. Since we are on stage at the front of the room giving those referrals, they carry extra 3rd Party Validation and our referral partners feel even more special. If you can, send business back to people who are referring business to you. Obviously, this needs to be in the best interest of the client. Keeping track of your referrals both coming to you and the ones you make is a good idea. Follow up with both parties regularly. Be strategic about your referrals. Everyone has strengths. There is a web developer, Cynthia Lay – The Butterfly Herder, who specializes in working with public speakers. She is our GO-TO when we meet a speaker. Learn the personalities and niches of your referral partners and be sure to factor these in when sending out business. Spread the wealth. If you give a client the names of three real estate brokers to interview, you can advise all three that you passed along their contact information. Use social media. Follow referral partners on LinkedIn and Twitter and share their articles or comments. Promote them on your own social media business pages. Give them exposure. Our radio station is Star Worldwide Networks. During our Small Business Breakthrough bootcamp, we always invite station manager (and creator of The Arizona Roughriders wild-west action shows!) Ed Vanderlee to come speak to our audience about the power of podcasting. Make yourself available to your referral partners. 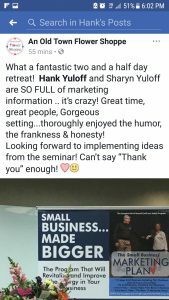 Offer to speak at their events. Ask if they need you to contribute to their newsletter. We have even done Lunch N Learns for them, talking about marketing improvement for their clients. 13. Four or Five Good Referral Partners Can Make a Career. For many of us, referral partners are critical to developing a business. Rather than targeting every prospect, it’s more efficient to know the people who know the people you’d like to represent. Keep in mind that quality is more important than quantity. You don’t need dozens of referral partners to build your company; a few good partners can make a career. Focus on your best opportunities and concentrate your efforts on taking good care of them and their clients. I hope you have noticed that throughout this blog, I have publicly thanked lots of people who are our referral partners. You can do that, too! If you want to learn how, please reach out to us at www.FreeMarketingConsultation.com. We will invest 30-minutes of time together and, who knows, perhaps we will become referral partners!